along the border with Egypt. 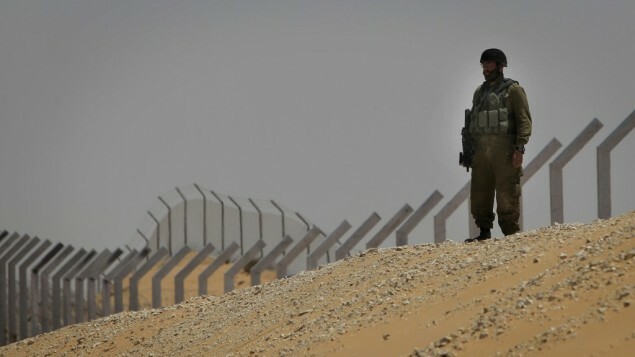 Minister Benjamin Netanyahu said on July 8.
told Cabinet-level meeting that more than 200 kilometers of the border fence has been essentially completed. Treiber said the entire project would be completed by October. mountains that overlook the Red Sea port of Eilat. Treiber said that section would be completed by 2013. The project has also included the construction of detention centers for the thousands of African migrants who have been infiltrating Israel from neighboring Egypt. In 2012, up to 2,000 Eritreans and Sudanese were being smuggled into Israel from Egypt’s Gaza Strip. An estimated 60,000 African migrants have been living in Israel. available by the end of the year,” Netanyahu’s office said.